The first and only time I have ever gotten a console on day one happened on November 22nd. Yes, I did get the Xbox One. For many this console was to be looked down upon, but I thought otherwise. The games lineup for Xbox interested me more than Playstation’s, so I had to choose Xbox. Now that I have had the Xbox One for a few days, I will give you my first impressions, starting from the setup. After I completely took out all of the contents of my Day One edition, I quickly set up the console in my living room. The provided HDMI cable was a great bonus. The first thing the console asked was to connect to Wi-Fi. This part was a little finicky, but eventually I figured it out. The update took about 15 minutes, and the console was ready to use. Now, the home screen looked pretty confusing at first, compared to the Xbox 360 dashboard. It took me a while to find the Settings app, but it was just a few controller clicks away. After playing around with all of the menu items, I realized that there are absolutely no advertisements on the home screen. That is a welcoming change. Overall, the interface runs extremely smoothly and, when accustomed, it is easy to use. One downside is that I cannot find where the hard drive settings are. The snap (multitask) feature works very well, but sometimes the frame rate of the snapped app can drop quite significantly. I used Game DVR with Forza 5, and it is really useful and fast. It records in 720p, which is acceptable for a built in recording app. However, a capture card would work better. The Upload Studio that is used to edit clips has some pretty generic filters, but allows you to record yourself playing or add commentary (Great feature for Youtubers). Unfortunately, for livestreamers, Twitch support is coming soon. Overall, there is much potential for the new system to develop over the coming months and years. 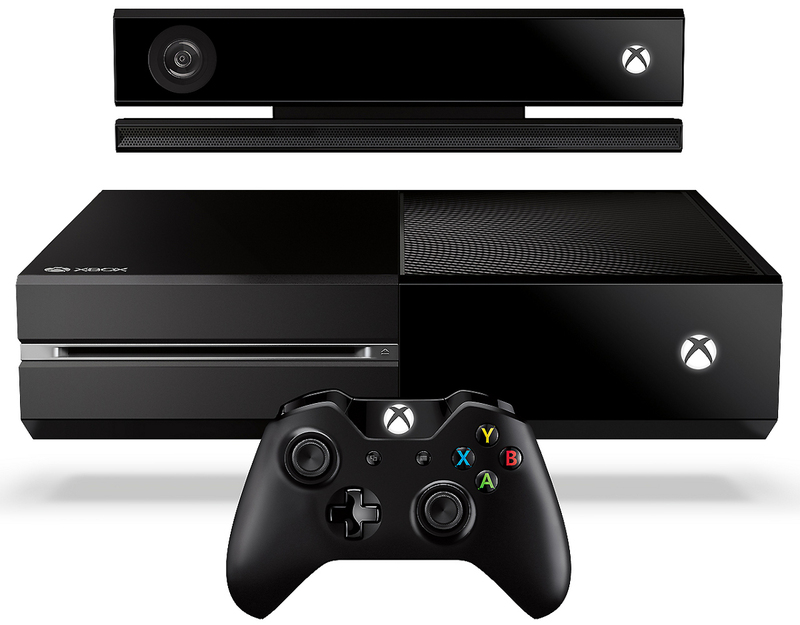 The design of the Xbox One got a lot of hate after its reveal. People called it the VCR. I gotta say though, it is a really nice looking VCR! The overall design of this console carries over to the Kinect, controller, and even the cables. The Xbox itself has a ton of vents, and after running Forza for 3-4 hours, the console was a little warm. However, the fan is giant, but surprisingly quiet, and it is very effective. The fan runs for about 5 minutes after the console is off to fully cool it down. I noticed a weird beeping sound every now and then, but I’ll have to look at the power settings to completely turn off the Xbox One. It seems like it is the fan controller or the hard drive. This new gen Kinect is huge and quite heavy! However, compared to the original Kinect, this Kinect hits it out of the ballpark. The webcam in the Kinect is 1080p, and the quality is definitely there. It also can also work in the dark. This new high quality camera allows instant sign in (and I mean like split second sign in). Now, the question is How well does it work with voice commands? I gotta say that the Kinect actually works this time around. I found that the Kinect voice commands work better in a smaller room, as I had to repeat myself sometimes in the living room. Otherwise, you can definitely do a lot more with this Kinect. I found it really neat when you say “Xbox On” and both the Xbox and the TV turn on. There is little input lag for Kinect 2.0, so voice commands work even better now. If it ain’t broke, don’t fix it, right? The Xbox 360 controller was quite a masterpiece, and many people preferred it over any other controller. Fortunately, Microsoft came up with an even better controller. The Xbox One controller is extremely familiar with the first touch, but it is a new experience. The advertised rumble feedback in the triggers worked so well that I had to get used to them; after I got used to them I was tearing up the tracks in Forza like a pro. That new feedback definitely enhances the experience. I can’t wait to see how they will use it in other games. Although, the rumble motors in this new controller are a tad bit louder than on the 360 controller. The sticks are slightly smaller around, but they are not flimsy like on the 360 controller. In conclusion, the launch went extremely smooth, and the console works perfectly like it was intended to. All advertised features work very well. However, there are some features that are not done yet that might cause some inconvenience for some gamers. Overall, the console is a must buy if you enjoy consoles and Xbox games.